One of the things that most says Easter to me, is a well organised egg hunt. And if somebody else has done the organising for me, all the better! 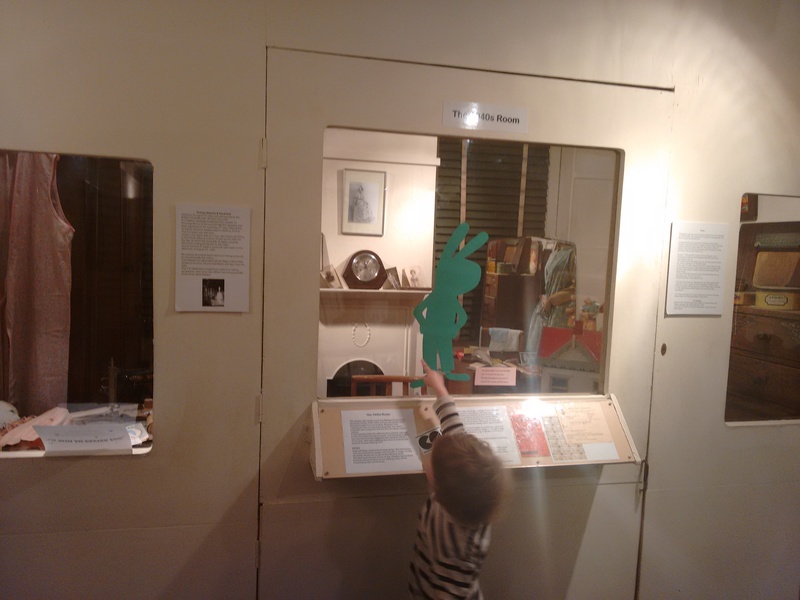 This weekend I took advantage of one at our local museum – Vestry House Museum in Walthamstow. 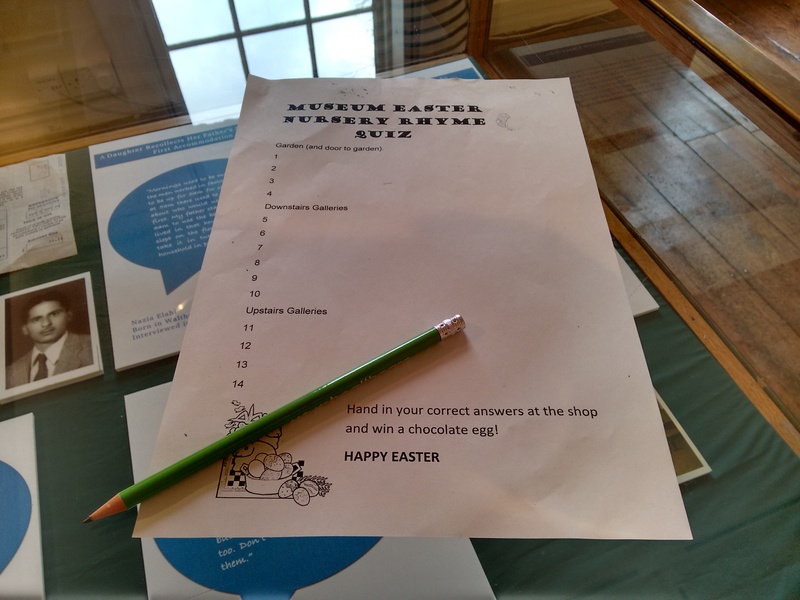 On arrival, we were handed a museum Easter Nursery Rhyme quiz and pencil, as well as a quick explanation of the trail. Trail and most welcome pencil EVER! I LOVE it when museums give you pencils with a trail! It means I don’t have to dig around the bottom of the changing bag, where biscuit crumbs go to die, in a vain attempt to find a working writing implement. To complete the trail, we had to find the animal cutouts, stuck in 14 places around the museum. Next to each one was a nursery rhyme which contained an animal – the name of which was blanked out. From the rest of the rhyme you had to guess and write down the name of the animal. Despite being only two, the toddler understood that we were ‘looking for animals’ so off we trotted. We started outside in their award winning, community garden. Inspired by the garden’s history as an eighteenth-century workhouse garden, it is now maintained by volunteers. 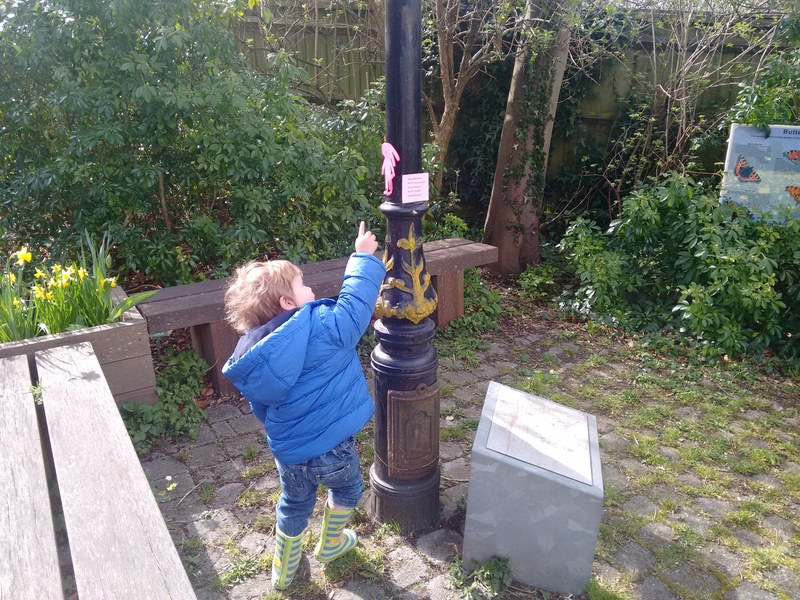 With the daffodils in full bloom and the sun breaking through the clouds, it was a lovely place to explore – and the occasional sound of a train passing was music to my son’s ears too! A rabbit up a lamppost? The animals were big, bright and located so that they involved just the right amount of effort to find. We definitely needed to work together as a family to solve the hunt as reading and writing were required. Some of the rhymes were new to me – with this one about a crazy counting trip to St Ives I saw quite a few other perplexed families! Having taken in the garden, we continued our hunt inside, seeing many of the museum’s highlights on the way. See that? It claims to be the oldest, British-built petrol driven car, built by local engineer Frederick Bremer in 1892. The costume gallery has some beautiful wedding dresses, including a Victorian one – but check out that gorgeous 16th century panelling! 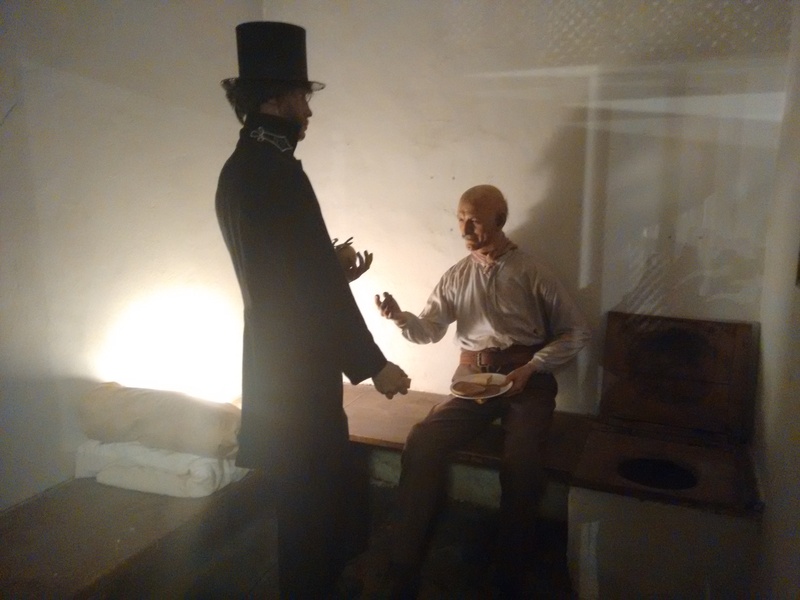 The reconstructed police cell, a massive hit with my daughter when she was younger, proved a little too scary for the toddler! Upstairs is a room filled with toys my son would love to get his hands on! I liked the 1940s austerity room set in the displays on domestic life. 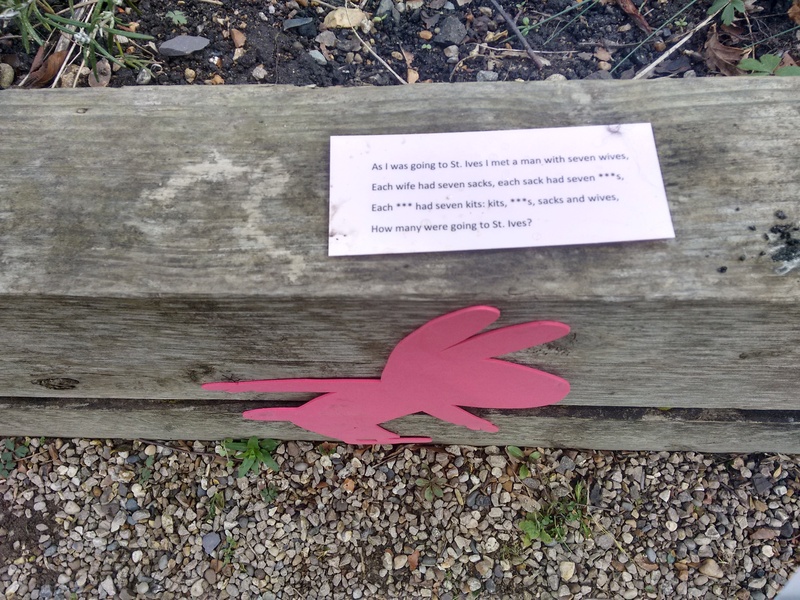 Trail completed, the toddler was delighted to finish and receive a chocolate egg for his efforts – he promptly sat on the bench outside and scoffed it in one go. 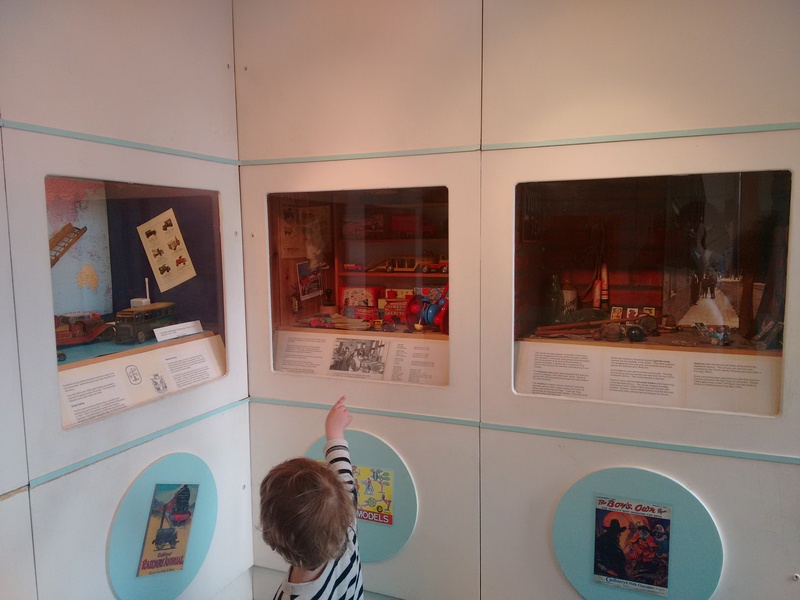 Local museums can be fantastic havens for families – a manageable size, easily accessible and welcoming. And with a sick tweenager at home, it was great to have something already set up, close enough to nip along to. 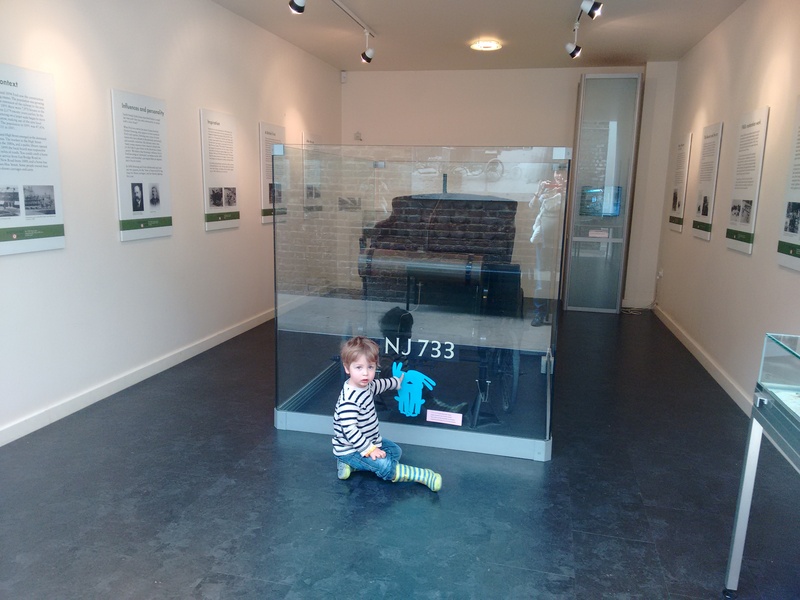 But I think my son enjoyed it a lot more than it just being a small diversion – the next day when I suggested an egg hunt at the park, my son had a crying fit saying ‘I want to look for animals at the museum!’ Those tears were surely the sign of one very happy visitor. 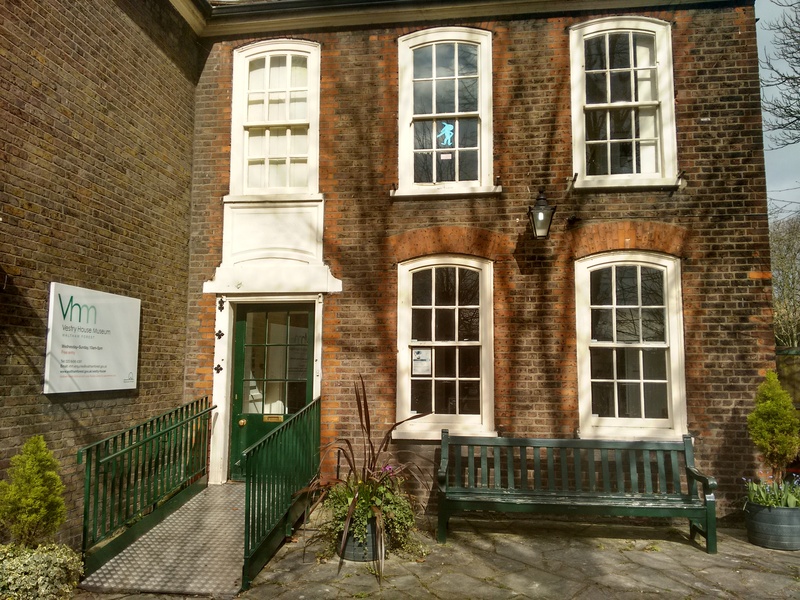 Vestry House do events throughout the year – but what about your local museum? If you sign up to their mailing list, you’ll always know what sanity savers they have on offer. Opening hours: 10.00am-5.00pm Tuesday to Sunday. Buggy accessible? : Partly – you can get your buggy in the museum via the ramp, round the lower galleries and some of the garden is paved. Upper galleries are only accessible by stairs. They let us park our buggy inside by the lockers. Baby changing: One in the disabled toilet in the garden, with a working strap. Breastfeeding friendly? : There are benches in the garden, but little seating elsewhere. 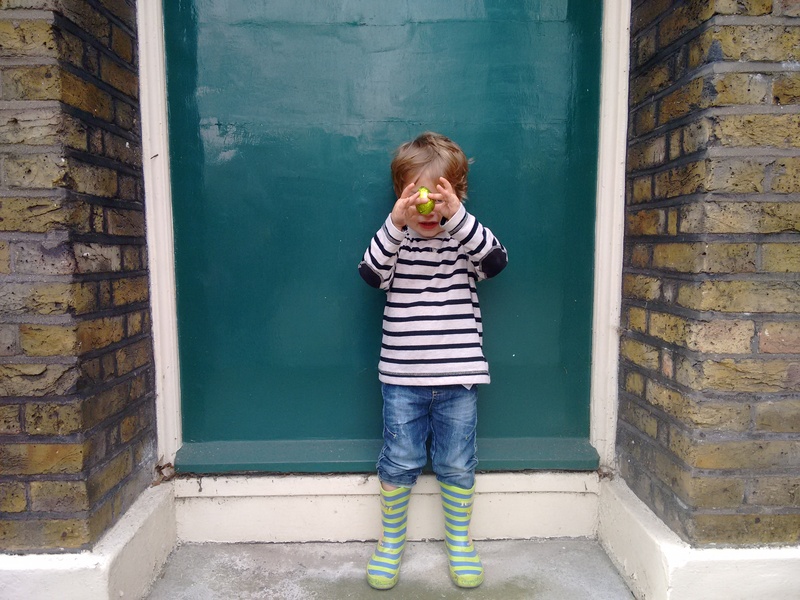 Toddler time from galleries to toilets: You’ll need to pop outside to the toilets in the garden, so allow two-three minutes from upstairs. Nearest playground: Right behind the museum on Vestry Road is a ball court with small swing, roundabout and see-saw. Improvement works are in the pipeline! Food: None available inside the museum – nearby Orford Road, the heart of ‘Walthamstow Village’ has plenty of pubs and restaurants and the poshest Spar ever which cooks fresh takeaway pizza to order. My daughter’s current favourite eating spot is right next door to the McDonald’s on Hoe Street – a Turkish cafe where for £2.50 they hand-make stuffed breads to order. Yum. Want to make more of a day of it? The nearby William Morris Gallery and Lloyd Park are great for families – bring a bucket and spade for the giant sandpit, your swimsuit for the fountain in summer, and your scooter or skateboard for the skater park! 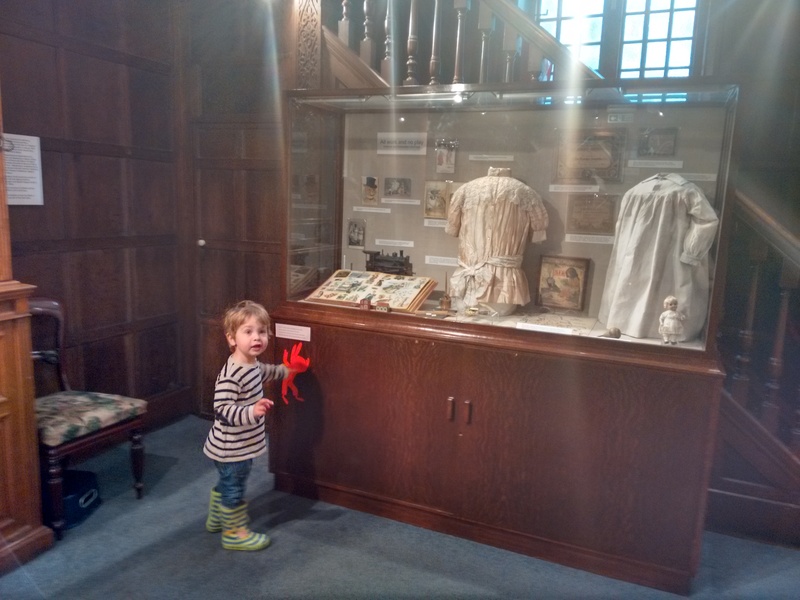 I reviewed Creative Kids at William Morris Gallery here. Next Post Failure: an illustrated guide OR Happy Birthday Museum Mum!